Eaglemoss Collections are well known for putting out various model collections for a variety of different franchises and licenses. I already collect their Star Trek Starships collection and I’m quite a fan of the series. 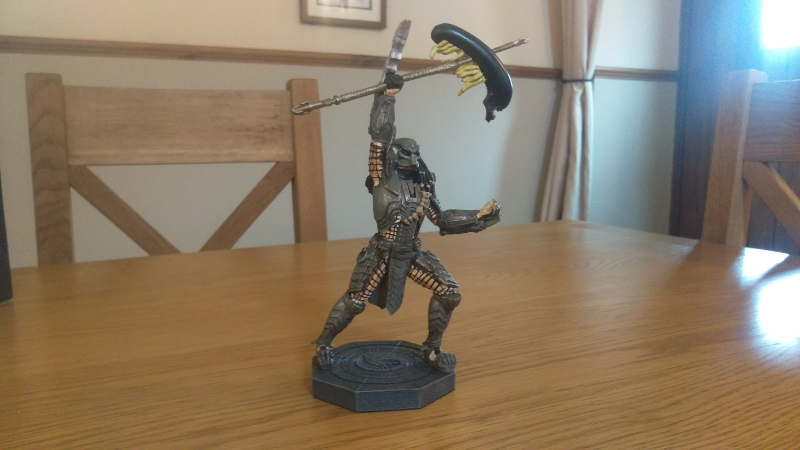 Early in 2017 Eaglemoss added Alien and Predator (and Prometheus) to their ever growing credentials. Eaglemoss sent Alien vs. 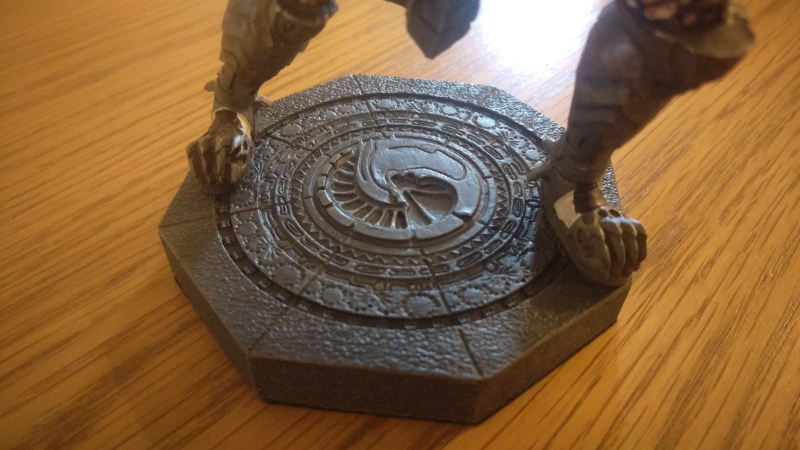 Predator Galaxy over one of their figurines, Scar Predator, for us to run through our various vision modes and examine. While I do collect some of the various models and figures, I’m admittedly not an expert when it comes to this side of Alien and Predator merchandise but I’m going to do my best here! One of the first things I noticed was the nice weight the figurine had to it which sets it apart from other similarly sized figures and models I’ve handled. The weight is primarily in the base though which gives it a nice stable feel for display. I really love the base that the Scar figurine comes on. It features the Alien 3 embryo image that Paul Anderson’s Alien vs. Predator made good use of throughout the pyramid. It’s very nicely replicated on the base. The figurines are static, cast in a single pose. For Scar Predator, Eaglemoss opted for one of the more memorable scenes from Paul Anderson’s Alien vs. Predator in which an ancient Predator celebrates the kill of Alien. Some collectors will likely find this irritating. While it’s a cool scene and a great pose, it isn’t Scar Predator in this specific scene. One issue I had with the figurine was with the the wrist blades. 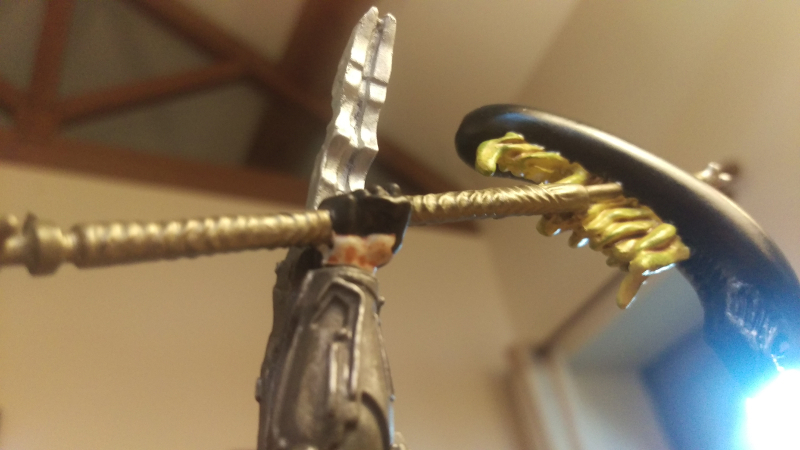 I understand it’s likely due to the apparent one-piece casting process of the figurine, there’s no gap between the blades. 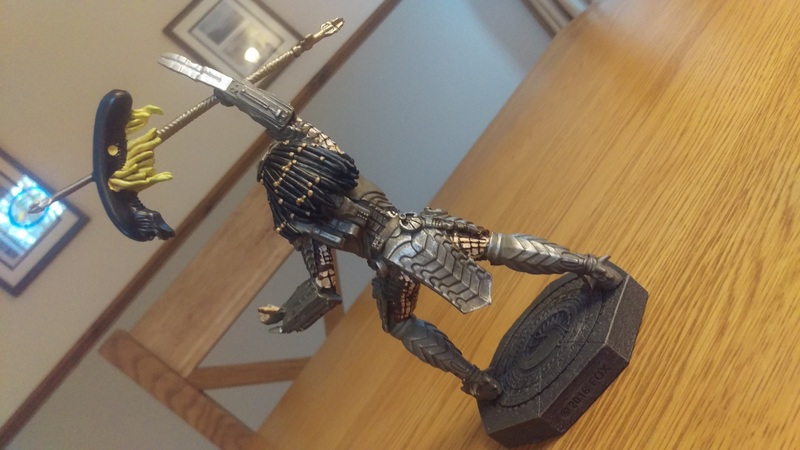 It’s not a massive issue but it does cheapen the look of the figurine. There’s plenty of great detail and layers on the figurine, though. The segmented armor, the holstered shurkens and even the body netting are all quite nice. The paint job itself is pretty good. The dirtied silver on the armour looks great. I wasn’t too keen on some of the skin tones though. There’s some sections of skin, specifically on the insoles of the Predator feet and by the side of the Predator head, that look so light that I thought the model itself has been chipped. Over all I quite liked the figurine and quite a few of the Alien and Predator figurines already announced catch my interest. If what you’ve seen here is of interest to the collector inside you, you can head on over to the Eaglemoss website (UK/US) to learn more or put an order in. At the moment EaglemossCollections have been putting out figures from the various movies but according the insert that comes with this particular figure, they will also be producing figurines based on the games and comics.